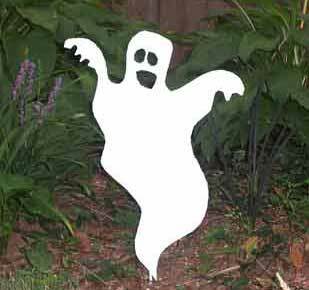 This custom designed spooky ornamental ghost is a great accent to any yard, wall or door. This custom designed spooky ornamental ghost is a great accent to any yard, wall or door. A charming way to add some fun to your Halloween decor.